My Ebay Auctions- Ending Soon! The highlights of my Ebay auctions for the week, all ending tomorrow and Monday. 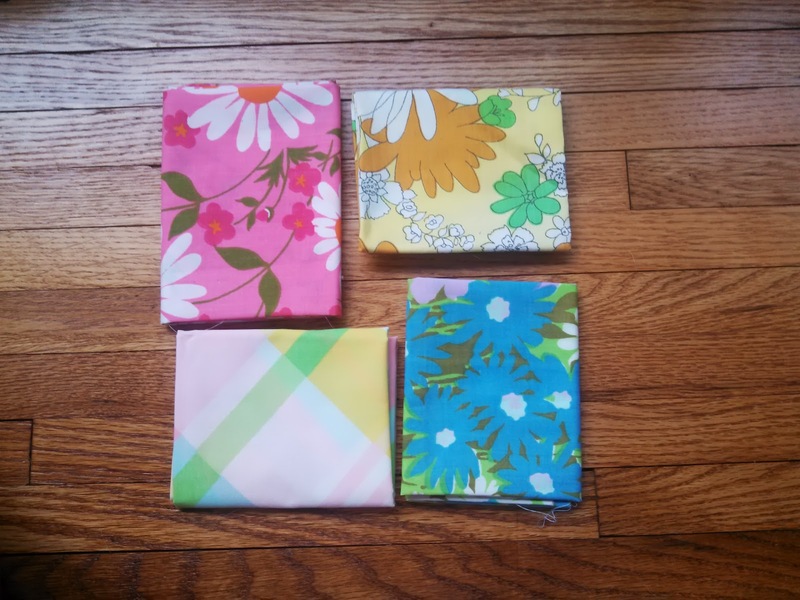 I have been cutting some of my favorite vintage sheets into fat quarter collections. I rip my fat quarters to guarantee a true cut and cut them to a generous size. I keep any damaged pieces for myself because I like to fussy-cut my blocks. It is easy to avoid a few damage spots. The bright multi pack is pictured by I have several color combinations available. I found this little treasure in one of my miscellaneous boxes. 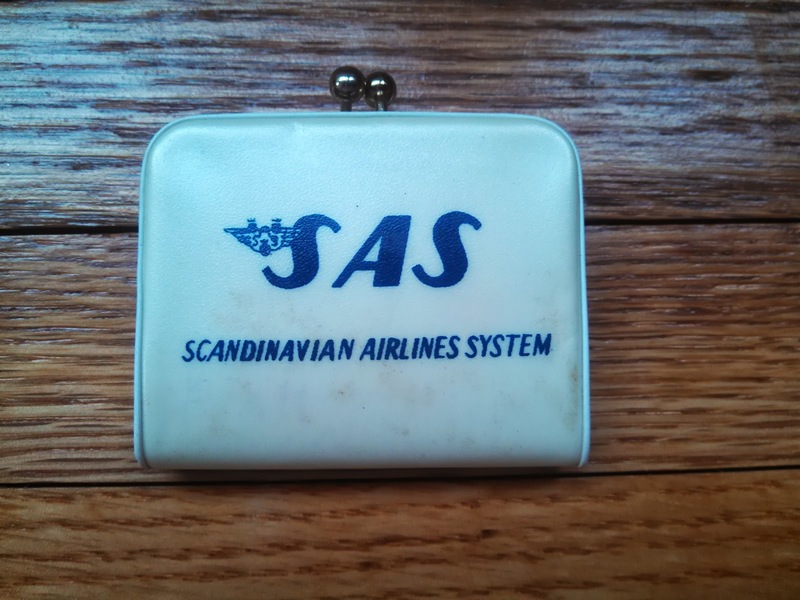 It is a vintage promotional coin purse. I know nothing about it and am interested to see what other people say. 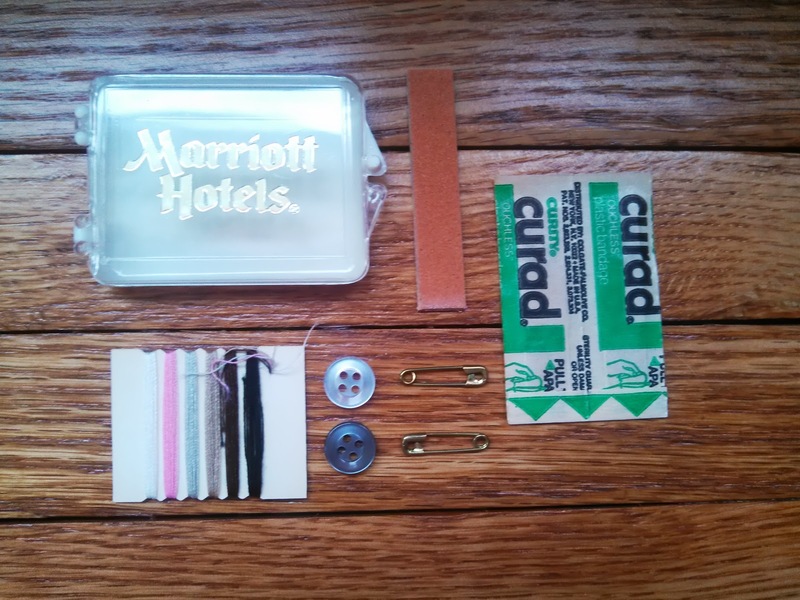 This is such a sweet little hospitality kit from Marriott Hotels. Everyone needs a safety pin on hand! I keep one on the inside hem of my pants. They come in handy frequently- I always have a student with a little “emergency” to handle. I keep a little sewing kit in my desk that I have used to mend many a button. 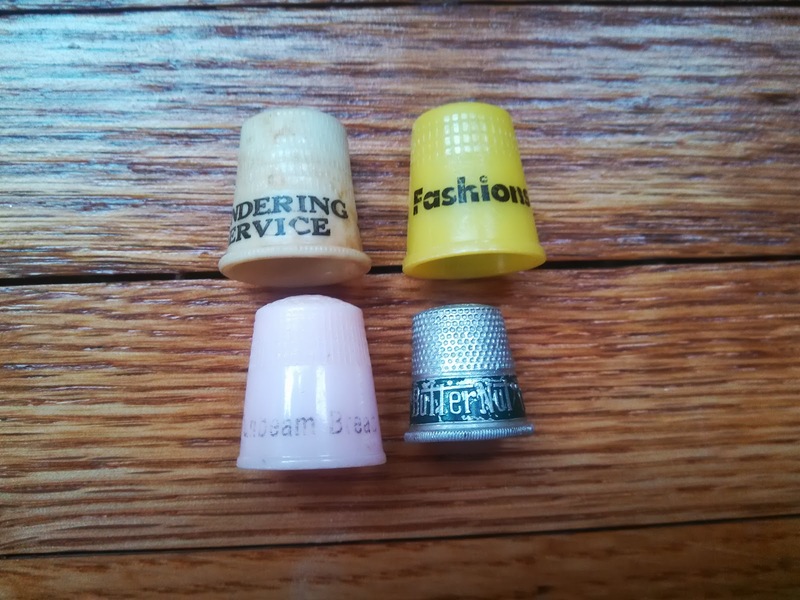 These are such cute little thimbles. My family all has very large hands so we can’t use them. I hope someone enjoys the sweet little promotions. 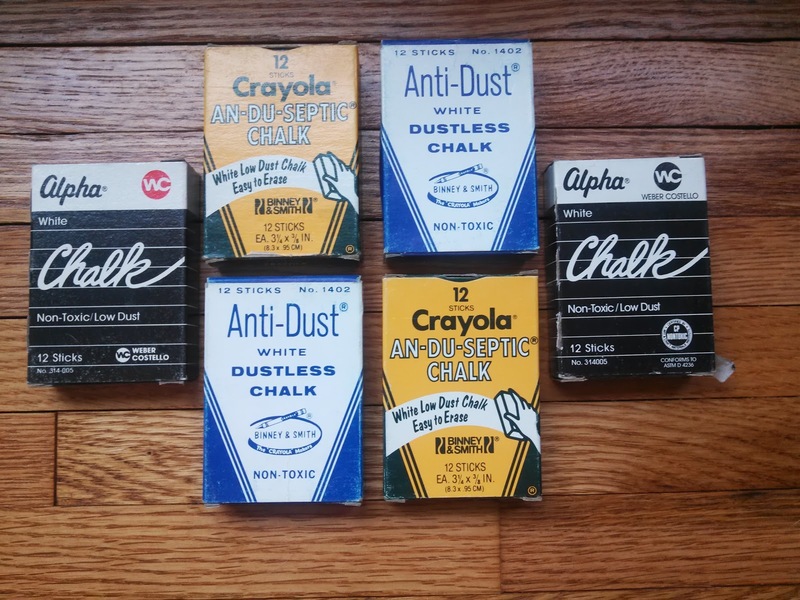 I found these chalks in the “free” box in the teacher’s lounge. No one needs chalk anymore with all of the white boards and smart boards! I couldn’t resist the vintage boxes. I used another box of chalk to make sure that all of these boxes are full.